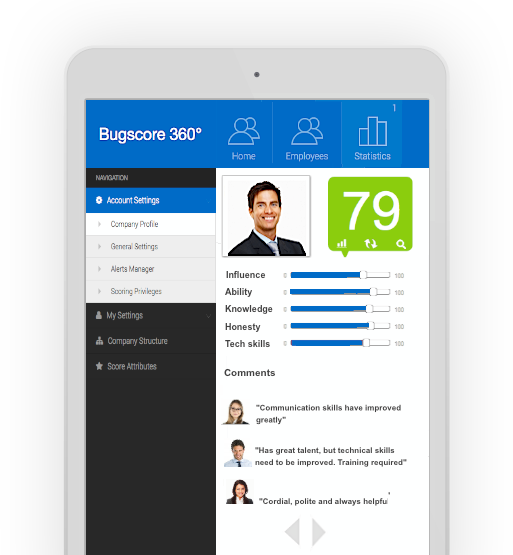 Bugscore 360 is a web-based software that allows your company's employees to score each other in real-time. These scores are given on a range of attributes that are tailored by you, to your company's values and KPIs. Bugscore 360 is a subscription solution, either hosted on our servers or yours. The system is unlike any other 360-degree-review tool as all reviews happen through out the year, are driven by both employees and managers (including HR people) and take 90% less time to conduct, when compared to traditional, form-based reviews. It is fully customizable and can be used for performance appraisal purposes, as well. Setting up Bugscore 360 is simple and your company can be ready to score in just three simple steps! 1Please get in touch with us to determine the best subscription suited for your organisation here. After confirming your subscription, you will be appointed a dedicated technical representative. 2This technical representative will guide you through the simple process of creating your company's structure (i.e departments and/or subsidiaries where applicable) within Bugscore 360 and adding your employees to it. 3You are now ready for Bugscore 360 and all the transformational benefits it will bring to employee quality and performance within your organization. 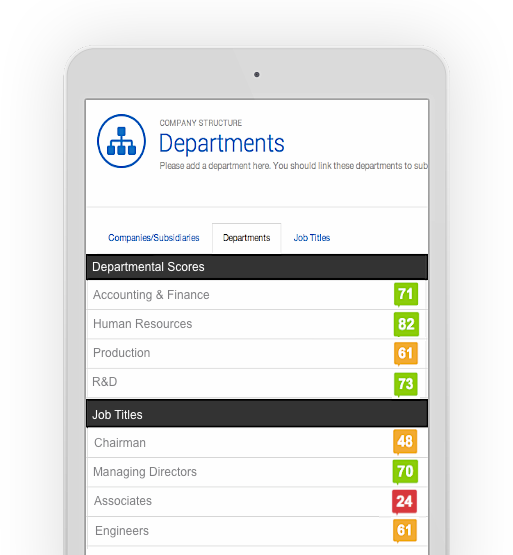 Simply inform your employees about the Bugscore 360 platform and the scoring process can commence!"